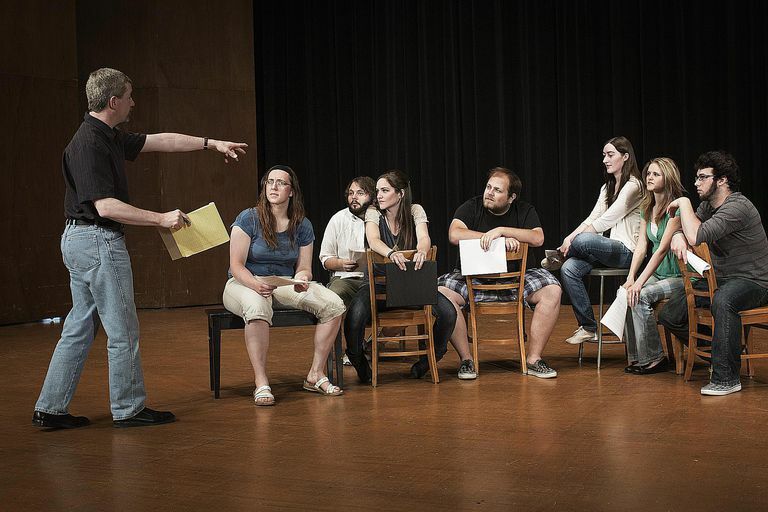 Being constantly enrolled in an acting class is a very important aspect of being an actor. So far in my career, I have been very fortunate to have studied with some of the most incredible acting coaches in Hollywood, including Billy Hufsey, Don Bloomfield, Christinna Chauncey and the late Carolyne Barry. 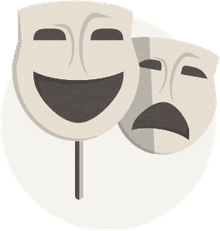 My wonderful acting coaches (as well as many others) have stressed the importance of continuously being enrolled and participating in acting classes all throughout an acting career. I have never questioned that this advice was valuable, yet it wasn’t until last week that I witnessed firsthand the importance of participating in a regular, on-going class. For the past couple of months, I’d been busy working as a “stand-in” on the set of the “MTV” television series “Faking It,” and therefore I had not attended my regular acting class for quite some time. I had been learning a tremendous amount of information while on set – and being involved in a production teaches many lessons which cannot be learned in a class. However, an acting class setting is equally educational in many ways including by helping to build confidence and preparedness. When I finally attended my class after being away for a period of time I was very surprised when I felt uncomfortable, unprepared and a bit nervous! In fact, in the middle of the scene that I was performing, I blanked on one of my lines and I totally froze up – something I hardly ever do. Fortunately, my wonderful scene partner was able to carry the scene and help me through it, but it was quite embarrassing! I felt like I had let my acting coach and my fellow actors down by not being as prepared or “in the moment” as I should have been. I felt like I had failed. After listening to some constructive criticism and feedback from my acting coach and fellow actors regarding my performance, I recognized that this experience was actually a very positive one rather than anything negative because of what I had learned. I had not “failed” at all! This experience showed me the importance of attending a class on a regular basis. Doing so allows us actors to learn and to grow in a safe yet challenging environment where we have the opportunity to learn from “mistakes” in order to do a better job in the future. And we should never stop preparing or striving to do a better job. Success occurs when preparation meets opportunity. We actors all need to be prepared for when opportunity knocks – which can be at any moment in our industry! I have chosen to view my experience in my acting class last week as a positive one! I am thrilled that I flubbed a line and froze up because it taught me how to handle that sort of situation. And I now realize that I was feeling nervous in this class because I simply hadn’t been there for a while, and therefore my skills were not at the top of my game. I also believe that it was fantastic for my classmates to witness this because we all learn from watching each other - another reason why attending a group class is so great! I am happy to have the opportunity to share this experience with you, my reader friend because it reminds us that - in order to grow as actors - we must constantly be practicing and preparing ourselves. This class – in which I originally felt like I had failed – turned out to be one of the best classes I’ve ever had because I am focused on learning from my mistakes. There are always lessons to be learned, and I believe this is especially true when we feel like we have “failed.” You only “fail” if you give up; which I know none of you will do. You’re too talented to do that! Why You Keep Failing Your Exams.